We all know how miserable the flu can be. Fortunately, there is a lot you can do to protect yourself from this perpetually mutating virus than you might realize. 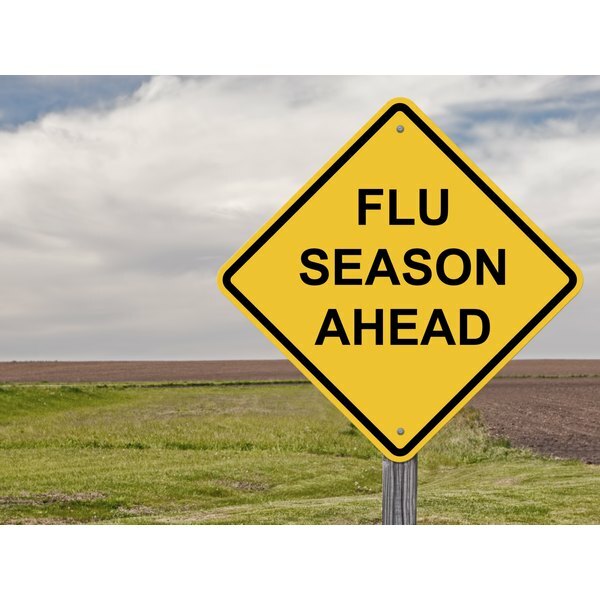 Flu season in the continental US can begin as early as October and go as late as May, typically peaking mid-winter. Here are some helpful tips to get ahead of the curve and help you beat the flu this season. While epidemiologists have made advances in understanding the science of the influenza virus, there’s still no way to predict for certain what the upcoming season will bring. Since vaccines must be manufactured before flu viruses start spreading, an educated guess is made as to what strains should be included based on the previous year’s flu season. You might have heard that last year’s vaccine was minimally effective. However, this year the first few reported cases are a match for the current vaccine. While it is still possible that effectiveness of this year’s vaccine may change, it will most likely remain affective. According to the CDC, the best flu protection is to get vaccinated. The flu vaccine is recommended for all people over the age of six months for whom the vaccine is not contraindicated – make sure to discuss any allergies or concerns with your physician. Family physician Alan Weiss, MD, of Yale New Haven Health Systems, confirms that he recommends the vaccine to “everyone who is able to get the vaccine and who would like to reduce their chances of getting the flu,” and for them to get vaccinated “as soon as it becomes available.” His recommendation is particularly strong for those at risk of complications from the flu due to chronic medical conditions. 1) Is it possible to get the flu from the vaccine? No! Occasionally people experience low fevers several hours after receiving the vaccine, but this is not the flu. 2) What are side effects of the vaccine? The most common side effect is soreness at the site of the injection. 3) Is it too late to receive the vaccine once the season has begun? No! According to Dr. Weiss, “as long as the flu is still present in your community, it is worthwhile to get the shot.” Even for people who’ve already had the flu, it can offer protection by reducing risk of contracting a different strain. Beyond vaccination, there are many things you can do to reduce your risk of getting the flu. Even with the stress of the holiday season, make sure to get enough sleep. Eat a balanced and healthy diet primarily of plant-based foods and exercise daily. Wash your hands frequently and avoid touching your mouth, eyes and nose. Regularly clean doorknobs and other frequently touched surfaces. What should you do if you get the flu this year? Most importantly, stay home from work or school. Stay hydrated; drink warm fluids such as herbal teas and broth. Eat fresh fruits and vegetables. Watch for worsening symptoms such as rising fever, breathing trouble, vomiting or confusion. If you experience any of these issues, call your doctor immediately. If you have any underlying or chronic conditions, call your doctor as soon as you suspect the flu. Your doctor might prescribe an anti-viral flu medication, such as Oseltamivor or Zanamivir, to prevent complications. Can You Prevent the Flu Naturally?